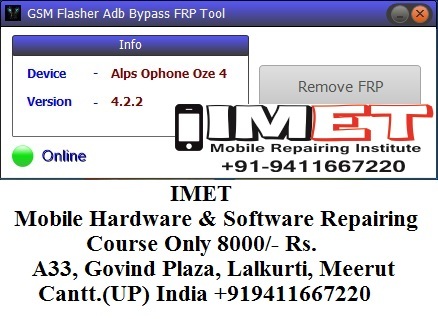 GSM Flasher ADB is the best tool to bypass FRP lock. It is also easy to use and unlocks any android device within minutes. You have to download it to your pc and then connect your phone via USB cable. Thus it is a great and easy to use tool to bypass google account. Supports all type of operating systems and all android versions. Easy to use and has a simple interface. Can also reactivate lock removers. Once you remove frp, you can turn on your antivirus software. 1. Mobile USB Debugging Enable. 2. Install ADB Drivers Your PC. 3. Turn Mobile On & Go to Google Account Sign in Option. 4. Connect Your Mobile Via USB Cable With Your PC. 5. Click on Remove FRP.